We can help you with your solar panels instalation! 100% FREE in-home consultation! Few home improvements do more for your home from a green perspective than installing new, green windows. 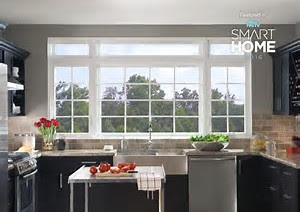 Poor windows can heat up your home like an oven in the summertime, and they can account for as much as 25 percent of your home’s heat loss in the winter. On the other hand, energy-efficient windows and designs can drastically improve your home’s energy efficiency in all seasons, as well as improve your home’s looks, resale value, and overall comfort. Doors and windows are truly crucial elements of your home. Your doors and windows facilitate engagement with the outside world; a beautiful view of your backyard water garden; a front door that welcomes friends and neighbors. Therefore, it’s worth spending some time on improving the beauty and functionality of your doors and windows. The first question most homeowners have when talk turns green is how much it’s going to cost. Between different levels of energy-efficiency and homeowner requirements, it’s tough to put a hard and fast estimate on what green home window replacements run. That said, there are a few things you should keep in mind as you decide whether green windows are right for you and your budget. 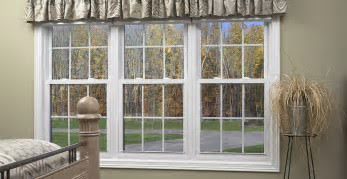 Energy savings can be substantial if you go green with windows. By simply replacing old, inefficient models with new ones, you can increase energy efficiency in your home by 30 percent or more. And if you embrace green remodeling and design to make the most of things like passive solar heating, natural lighting, and thermal mass, the benefits will be even greater. Installation costs are the same whether you choose energy-efficient windows or not. In other words, if you’re going to install new windows anyway, the only extra cost you’ll incur by going green will be for the windows themselves. The True Value of Going Green—The benefits of going green aren’t always best measured in dollars and cents. Don’t invest in green solely for the prospect of reduced energy bills. While green homes are more energy-efficient, they are also healthier, require less maintenance, and place a premium on comfort and quality. The single biggest reason that green replacement windows are so popular is their potential to significantly increase the energy efficiency and comfort of your home. Here is some advice about choosing the best possible green replacement windows. Our roofing contractors will evaluate your roof, give you an estimate, and recommend which solar roofing panels would work best for your home. Terra Home Remodeling contractors will ensure that you are involved in every step of the process, constant communication is the key to a successful project. Terra Home Remodeling will install top quality materials to ensure that you are getting the most out of your investment. 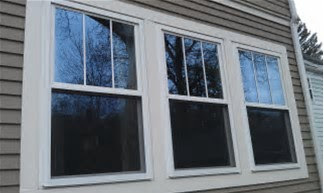 Ready to start your Window Installation Project? Contact Terra Home Remodeling today, our customer service representatives are eager to answer all of your questions and to help you understand everything you need to know about window services. It is a wise investment because you will profit from your investment by saving thousands in utility bills over the years. What are you waiting for? Contact Terra Home Remodeling today! Got an affordable price with perfect quality work! Best quality service, great staff and Trustworthy company! Had the best experience from this company, someone you can trust and the professionalism is exceptional. I had the best experience with Terra Home Remodeling and the whole project crew. The workers were always on time and always make sure that they leave everything clean. The project manager was with me from start to finish and went through the entire process to make sure that I am contented and I was happy with the project. We have been enjoying our beautiful kitchen done by Terra Home Remodeling 3 months ago. Their crews were amazing and was with us in every step of the way, from choosing the cabinet designs, colors, counter tops, floors, etc. Their ideas are great and exceptional. They assured us that we will get the best and quality service and they proved it right. We were so impressed on how they made it very stress free for us and producing an outstanding kitchen, our family, friends and relatives loved it so much! They are an excellent company, on budget, super responsive, friendly, and addressed any problem I had immediately.